The Land of Le Beef just got a little bit deeper - about two thousand leagues under the sea deeper. 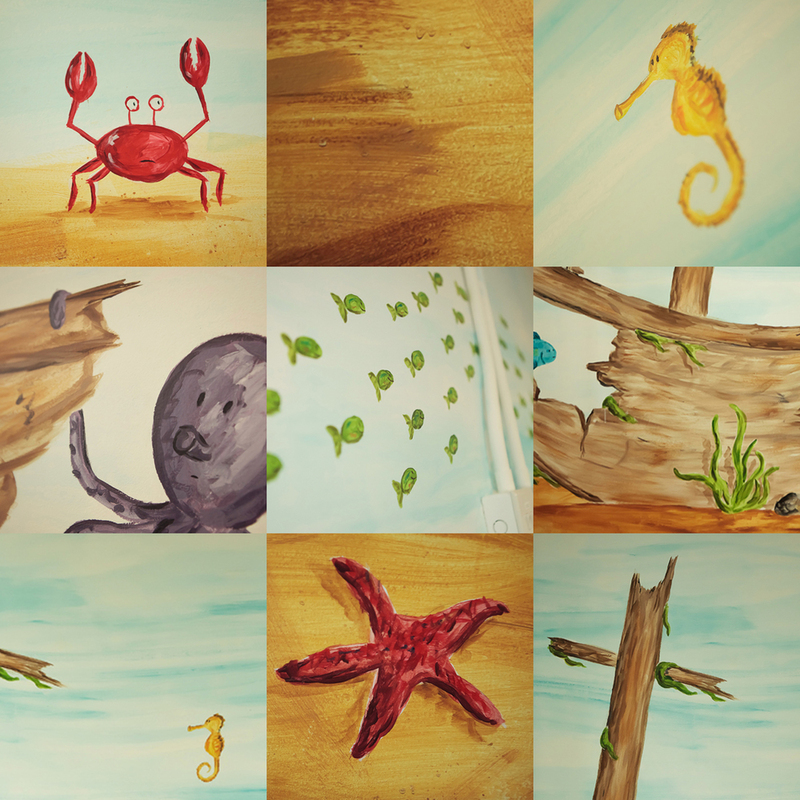 Once again the Land of Le Beef has worked with Woodland Pre-School in Hong Kong to create a mural at their newest location on Caine Road, this time with an underwater theme. Yes it is better down where it's wetter, under the sea. Another part of the school features a gritty, back alley urban theme to fit with playroom town.